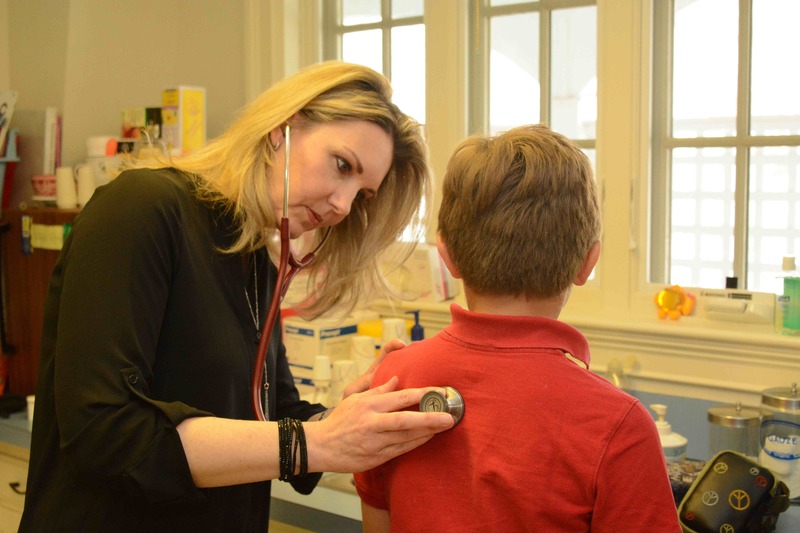 The Fenn School Health Office offers professional nursing services to our Fenn boys using a holistic and integrative approach to treatment and prevention of illness and injury. The primary goal of the Health Office is to facilitate the student’s ability to learn. Parents are requested to inform the Health Office of any changes in their child’s health and treatment programs. Parents are expected to use the space available on the online Fenn Health History forms to comment on their son’s general health and known allergies, to share special instructions for their child’s care, and to provide contact information for their child’s physician, dentist, and emergency contacts. Please include any history of concussions or other significant medical history. This information will accompany students on field trips and sporting events away from Fenn’s campus and will be consulted in instances where urgent care is necessary. All clinical information is handled confidentially and in compliance with HIPAA regulations.